Happy Birthday to me!! I turn 38 today and what can I say? I feel good, age is nothing but a number after all........until your body starts failing you! but I am not there yet so I will not worry about it for now. I woke up early in the morning to get a colectivo back to Havana. My very amazing airbnb host Damian had arranged one for me and planned for it to pick me up first so I could get the front seat of the car which is the most comfortable, how sweet right?! I rode along with two guys from France and one other guy from the UK, the ride was uneventful until some idiot in the colectivo decided to fart! I swear I was so pissed and of course everyone acted like nothing had happened, who knows which guy in the car it was. 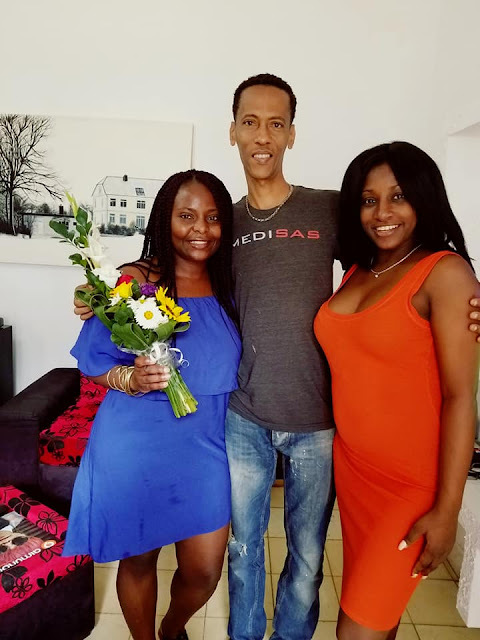 We arrived in Havana after 4 hours and when I got to Damian and Chaveli's home I was presented with flowers from both of them as a birthday present. This couple is just the best! Damian had actually told the lady I stayed with in Trinidad that it was my birthday and to make sure to wish me well. The lady gave me a big hug and a rose flower first thing in the morning when I got up and was preparing to leave for Havana, I thought it was such a nice gesture. 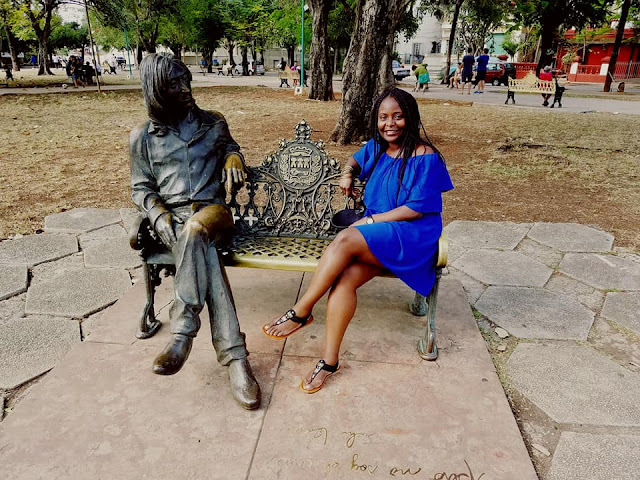 Even though I was super tired and my feet were so sore from all the walking, I decided to hit the ground running and do more sightseeing around Havana. 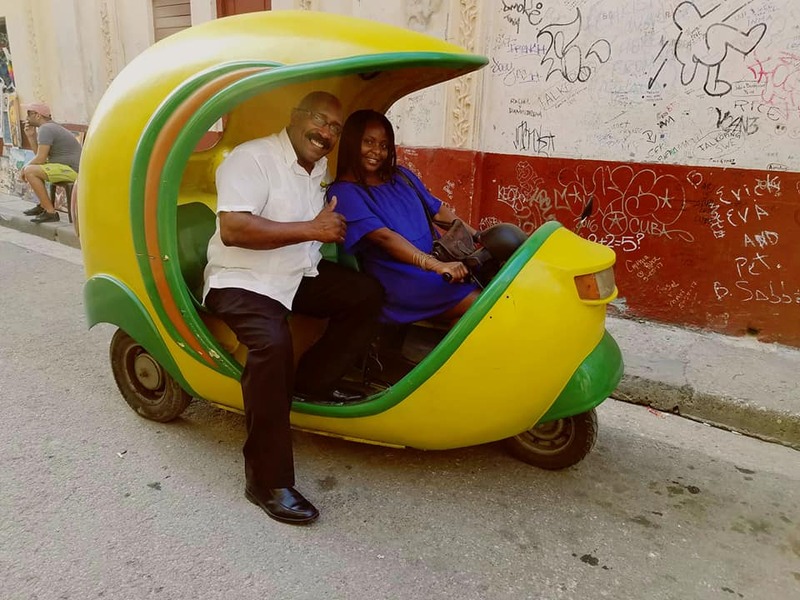 I headed to Havana vieja and took one of the colorful taxis you see below. 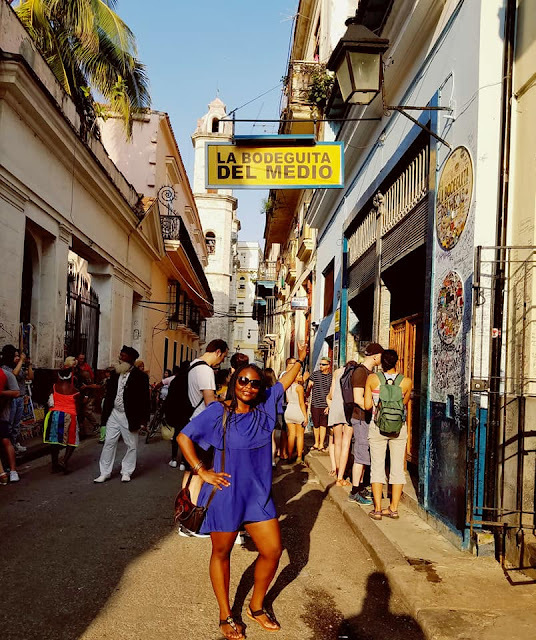 For $30 they offer a one hour tour of Havana vieja and nueva then give you an opportunity to take photos. I figured since it was my birthday I might as well treat myself to something fabulous so I went for it. 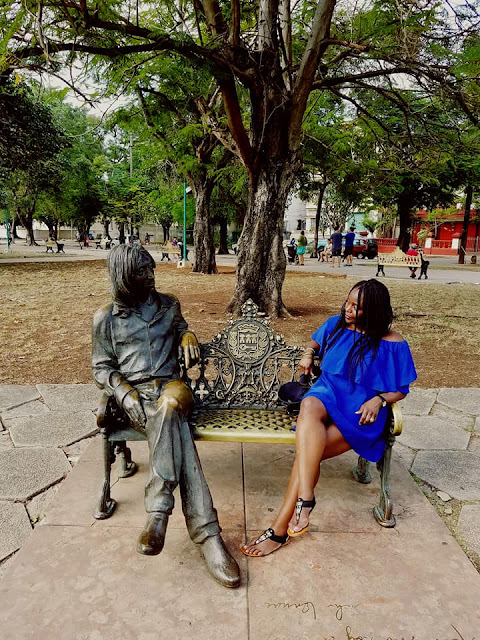 We passed through the John Lennon park in Havana nueva where the statue of John Lennon sits. 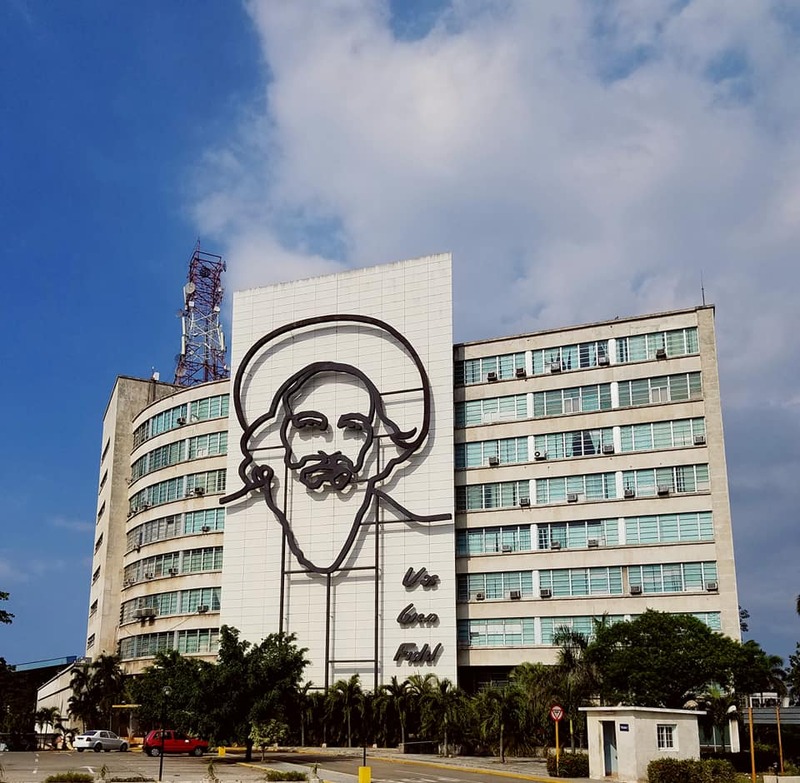 Turns out he had and still has quite a following in Cuba, occasionally concerts are held here in his honor and they play all The Beatles music. My driver ended up being such a cool guy and we chatted through most of the tour as he explained the living conditions of regular Cuban citizens, the politics, history of the revolution and how the government has been since Fidel Castro's death. It was so interesting and we were so engrossed in conversation that at times he would forget that he was giving me a tour and was supposed to explain the significance of various sites we passed through. 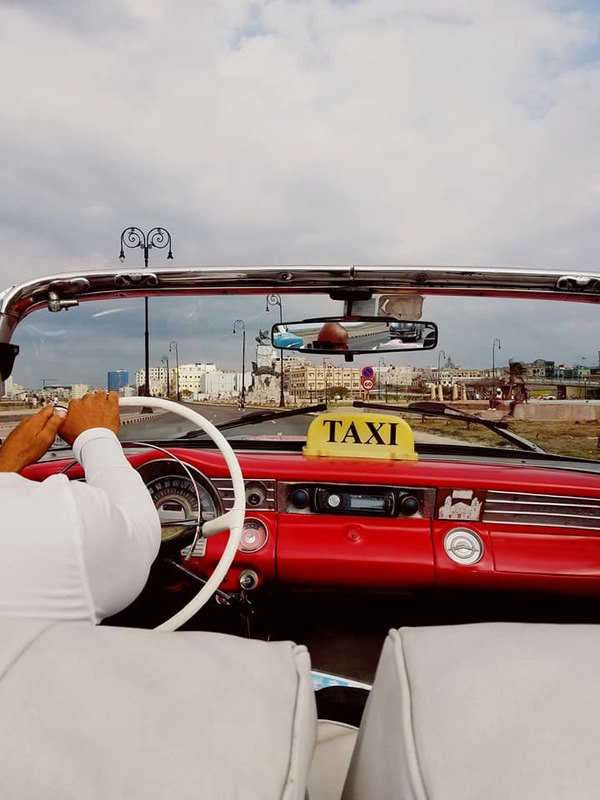 The ride actually ended up being far much better than I expected, at the end of it even the driver said he enjoyed himself very much especially the conversation we had and how much interest I showed in learning more about Cuba from a local. 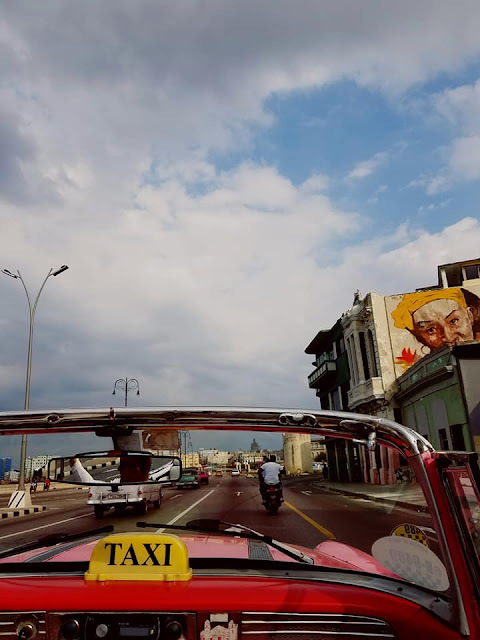 It was also super cool riding along the Malecon with the breeze blowing through my hair as I listened to Celia Cruz on the radio, sounds corny but hey! I was enjoying myself! After my ride I took a walk along this one street called Obispo, it's one of the main busy pedestrian streets in Havana vieja and it's where all the action is. 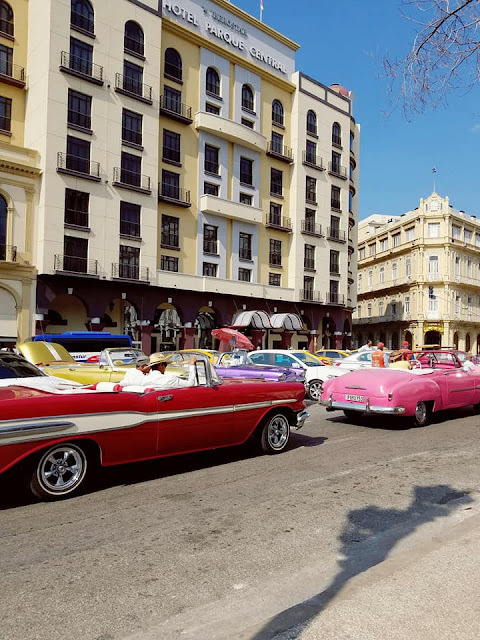 It was very lively with salsa musicians and dancers giving live shows. I took my time enjoying all the entertainment around me before going to find the famous "La Bodeguita del Medio," a bar-restaurant that is well known for all the famous people who have passed through, it is said to have been Earnest Hemingway's favorite bar and this is where the mojito was born although there are disputes about this. Damian and Chaveli had told me that it's overrated and just a tourist trap so it would only be cool for a photo opportunity and nothing else. Right across from the bar was a gentleman talking to this one lady, he reminded me so much of Oscar de Leon (great Venezuelan salsa musician). 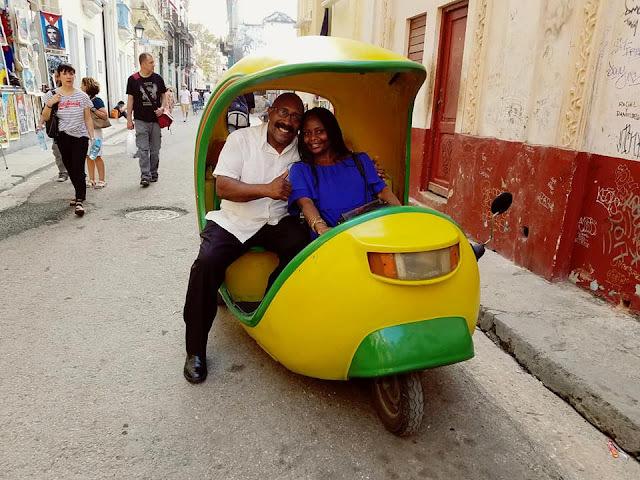 I had to walk over and tell him that, he was so flattered and thanked me for making his day, he even offered to have me take photos with him on the little motor taxi you see below. He had this old school gentleman vibe about him that I was drawn to. I walked around some more, stopped to get some desert at this one coffee shop before finally deciding that I was done for the day. I came back to my room, took the longest shower ever and decided to watch a movie on TV. Overall it was a good day today so no complaints whatsoever. Happy Birthday to me! 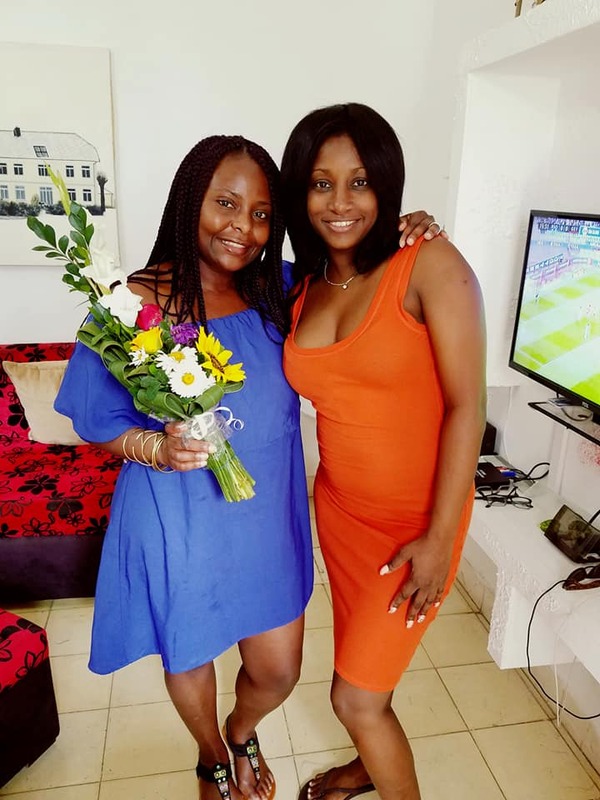 38 does look good on me if I must say so myself. Cobblestones are tough on the feet especially when wearing sandals. You may not feel it while walking but boy will you feel it at the end of the day, my feet are so sore! 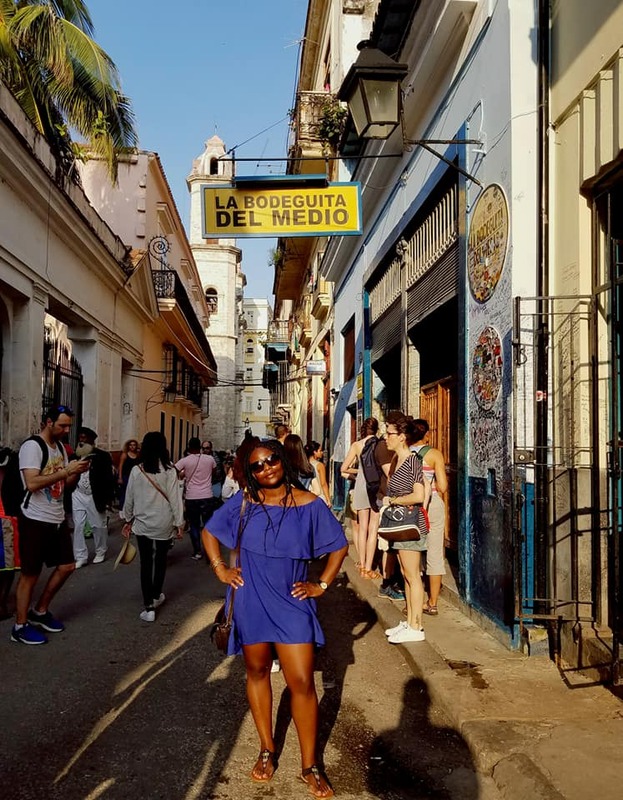 Even though this trip has been hectic as I have tried to squeeze in as much as possible within a short period of time, I am super proud of how I have managed to execute my plans. It's been tiring but so worth it. I still can't get over how safe this place is, I love it! 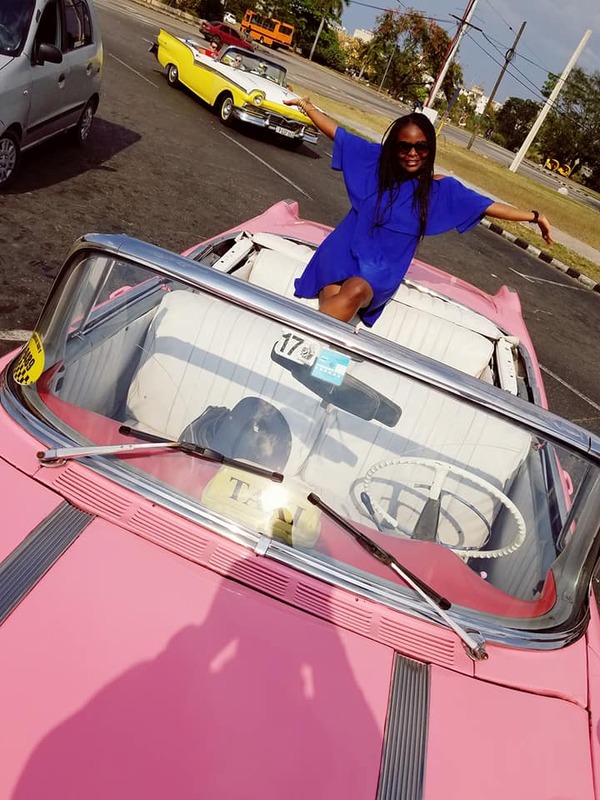 Even taking out your phone to take pictures doesn't feel scary at all, believe me I have been to places where you better have those valuable tucked away and not dare take them out in plain view. 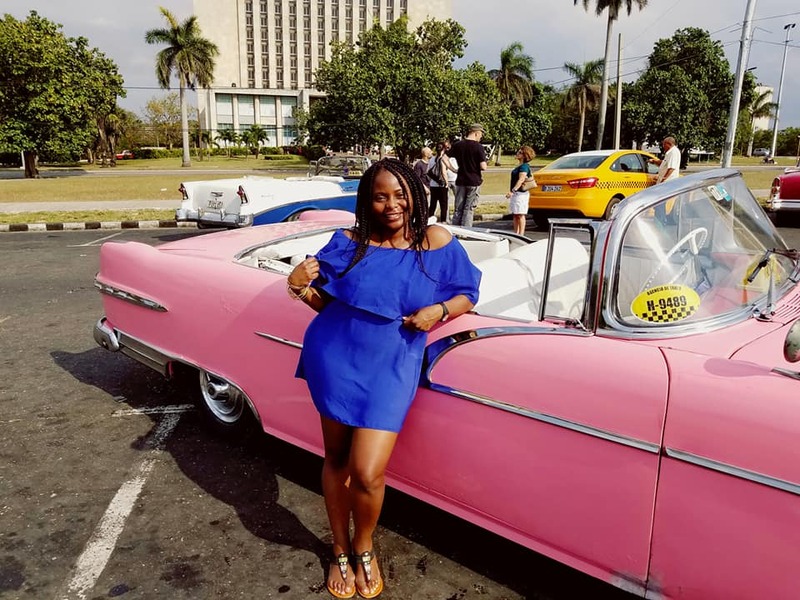 To be honest I would love to come back to Cuba and if I ever do I am definitely coming with my husband. We (Damian, Chaveli and I) have even planned on a couples' date when I come back to Havana with my husband.